Dubin, Joseph (Highland Park) - Book Appointment Online! 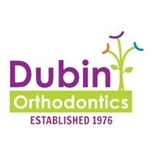 I have never liked an orthodontist, until I have met Dr. Dubin. It was my first time in the office today, the staff was very friendly and the area was clean. Dr. Dubin made me feel comfortable and answered all questions I needed necessary. I would recommend 100%.